Found 2 file extension associations related to Apache OpenOffice Base (OpenOffice.org Base) and 2 file formats developed specifically for use with Apache OpenOffice Base (OpenOffice.org Base). Apache OpenOffice Base is a fully featured desktop database management system, designed to meet the needs of a broad array of users, from just tracking your personal CD collection, to producing a corporate monthly departmental sales report. Base offers rs wizards to help users new to database design (or just new to BASE) to create Tables, Queries, Forms and Reports, along with a set of predefined table definitions for tracking Assets, Customers, Sales Orders, Invoices and much more. 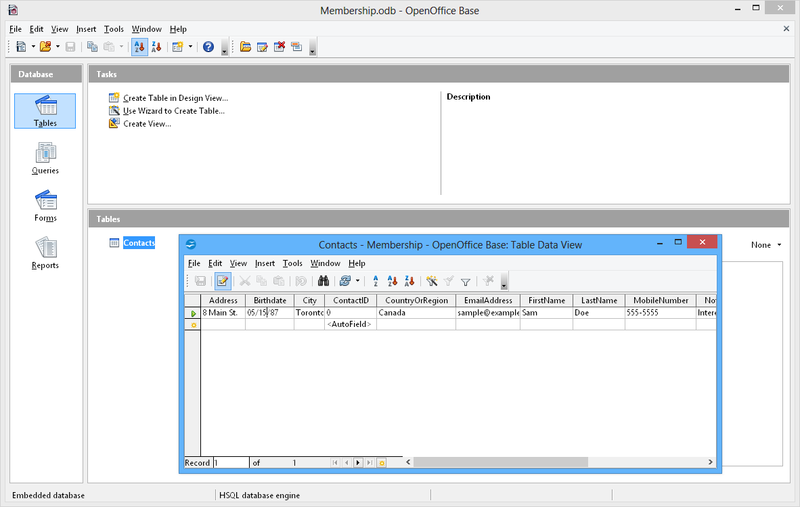 If you need more information please contact the developers of Apache OpenOffice Base (OpenOffice.org Base) (OpenOffice.org Project Team), or check out their product website.